*Room service not included and subject to change at any time. All-inclusive components are value adds have no cash value, non-transferable and expire at checkout. No refunds or credit on used portion of value adds. Rates are per person, per night and based on double occupancy. Maximum occupancy per room is four people, additional person rate incorporated. Children 0-4 stay and eat free, 5-12 pay half-off new rate. 13+ pay adult rates. This is for new bookings only, not valid on groups or weddings and based on availability. Booking early has its benefits – save on your 2019 all-inclusive vacation. 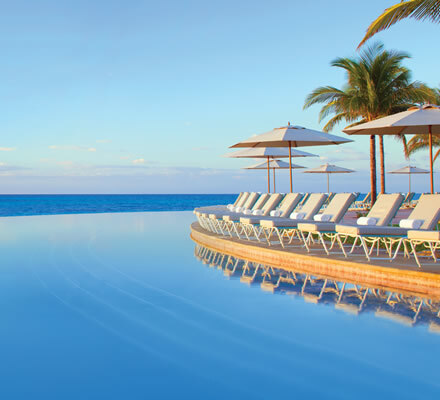 Now through April 29, 2019 stay at Lighthouse Pointe at Grand Lucayan. Secure your summer stay now. *Must be 21 years old to check in. Based on availability and subject to change. Based on double occupancy. Not applicable to groups or weddings. New bookings only. Offer may be changed or cancel at anytime. Black out dates may apply. Limited availability. Rates fluctuate by seasonality and room type. All-inclusive components are value-adds, have no cash value, are non-transferable and expire on checkout. No refund or credit given for unused portion of value-adds. Lead rate is based on double occupancy, rates differ for single, triple or quad occupancy. Rate is all inclusive and includes the following: greens fees at Reef Golf Course, meals and beverages on property, access to Fitness Center, and includes resort taxes and fees. Not included are: $25 surcharge to dine at Churchill’s, food and beverages at Reef Bar, mandatory golf cart fee, rental for golf shoes and clubs, room service, Perrier Water, Vitamin Water, wine by the bottle, Top Shelf brands, cigars, laundry, Spa Services, Tennis Lessons, and Babysitting services. This promotion is for new bookings only, and is based on availability and may be closed without notice. Maximum of four guests per room. If guests request rollaway bedding there is a fee of $35 a night. 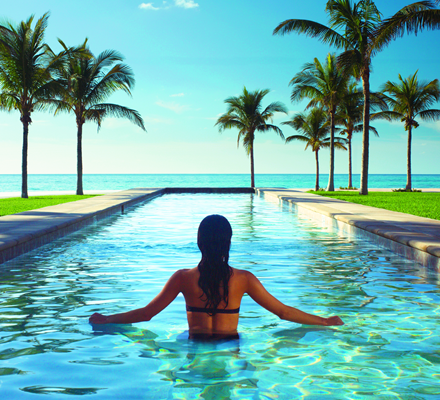 Grand Lucayan’s all-inclusive Lighthouse Pointe is calling your name. Enjoy gourmet meals, premium cocktails, entertainment and activities galore, all on the most spectacular beach front all-inclusive resort. Book now and save up to 35%! *Must be 21 years old to check in. Based on availability and subject to change. Based on double occupancy. Not applicable to groups or weddings. New bookings only. Offer may be changed or cancel at anytime. Black out dates may apply. Limited availability. Rates fluctuate by seasonality and room type. All-inclusive components are value-adds, have no cash value, are non-transferable and expire on checkout. No refund or credit given for unused portion of value-adds. Lead rate is based on double occupancy, rates differ for single, triple or quad occupancy. Rate is all inclusive and includes the following: greens fees at Reef Golf Course, meals and beverages on property, access to Fitness Center, and includes resort taxes and fees. Not included are: $25 surcharge to dine at Churchill’s, food and beverages at Reef Bar, mandatory golf cart fee, rental for golf shoes and clubs, room service, Perrier Water, Vitamin Water, wine by the bottle, Top Shelf brands, cigars, laundry, Spa Services, Tennis Lessons, and Babysitting services. Rates above reflect discount and is per person per night. Above rates based on occupancy as noted, both youth and children pricing. Additional person rate incorporated to rates above for guests over 18. If guests request rollaway bedding there is a fee of $35 a night. Maximum occupancy per room is 4 persons. Rates for children staying in room with parents: 0-4 old and eat free, 5 - 12 pay 50% off per person per double occupancy based on season, 13 and older pay adult rate. This is for new bookings only, not valid for groups or weddings, based on availability and may be changed without notice. 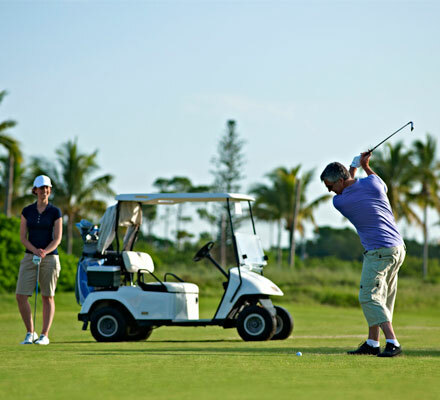 Stay at Lighthouse Pointe and play golf! Enjoy unlimited green fees on the Robert Trent Jones designed course, The Reef Course, often referred to as the #1 course in the Bahamas. Book now and save up to 35% off the all-inclusive room rate. *Mandatory golf fee not included. Must be 21 years old to check in. Based on availability and subject to change. Based on double occupancy. Not applicable to groups or weddings. New bookings only. Offer may be changed or cancel at anytime. Black out dates may apply. Limited availability. Rates fluctuate by seasonality and room type. All-inclusive components are value-adds, have no cash value, are non-transferable and expire on checkout. No refund or credit given for unused portion of value-adds. Lead rate is based on double occupancy, rates differ for single, triple or quad occupancy. Rate is all inclusive and includes the following: greens fees at Reef Golf Course, meals and beverages on property, access to Fitness Center, and includes resort taxes and fees. Not included are: $25 surcharge to dine at Churchill’s, food and beverages at Reef Bar, mandatory golf cart fee, rental for golf shoes and clubs, room service, Perrier Water, Vitamin Water, wine by the bottle, Top Shelf brands, cigars, laundry, Spa Services, Tennis Lessons, and Babysitting services.